More than 20,000 people living in the extraordinarily remote Shanyan District of Baiyu County in China's north-western Sichuan Province belong to the little-known Shanyan Tibetan ethnic group. Although the Chinese government does not differentiate between the Shanyan Tibetans and the main Tibetan nationality, Baiyu County contained 39,543 people at the time of the 1990 census, of which 36,591 (92.5%) were Tibetans. The majority of these are Shanyan Tibetan people. The Tibetan name for Shanyan means 'rough terrain'. To reach the Shanyan Tibetans, visitors must first travel to Litang and Batang in the far west of Sichuan, a journey that can take up to several days from the provincial capital Chengdu. From there local buses go to Baiyu, although the route is often closed by landslides and road collapses. Travelling the 56 kilometres (35 mi.) from Baiyu to Shanyan is an even more treacherous affair, requiring travel by horseback over the 5,000-metre-high (16,400 ft.) Dalong ('Big Dragon') Mountain, 'through primitive forests, bushland and grassland and rocky hills. Moreover, it spans several temperature zones and makes 51 sudden turns.' One visitor said, 'Shaking with fear, I rode the best russet horse in the township along a trail carved in sheer cliffs at an altitude of 2,000 metres (6,500 ft.) high above the roaring Jinsha River.' The Jinsha River forms the border between Sichuan and Tibet. The Shanyan Tibetans are culturally, ethnically and linguistically different from the Khampa Tibetans who also live in this remote region. When talking about his ancestors, a Shanyan Tibetan named Dorji Wengxiong said, 'We came from areas on the upper reaches of the Yarlung Zangbo River in present-day Nghari Prefecture in Tibet. We are Tibetans and not local Khampa people. Our ancestors kept moving east until they came to the Jinsha River. So far, we have lived here for 40 to 50 generations. 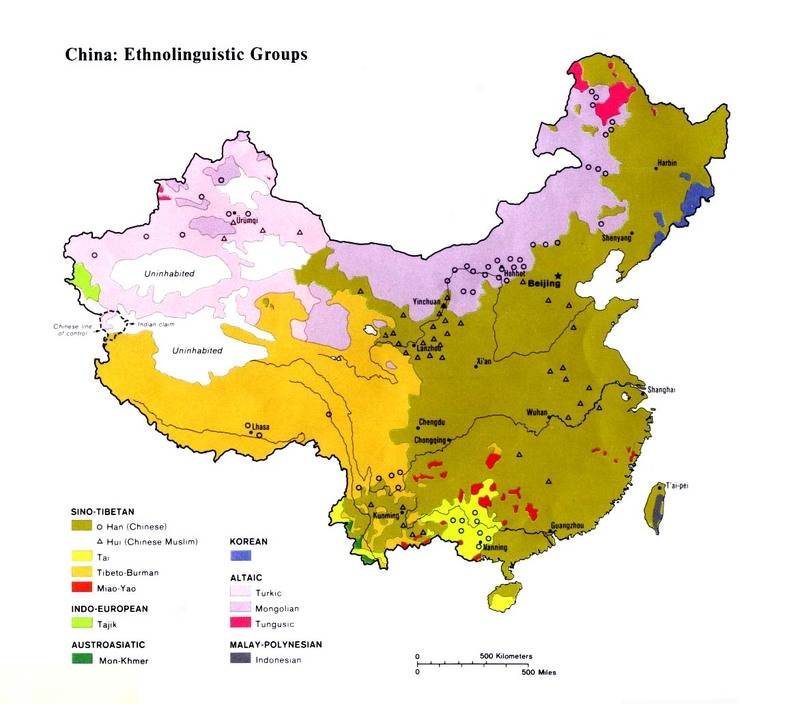 Up to the 1950s, there were 18 gebas [clans], with about 20,000 people in Shanyan.' 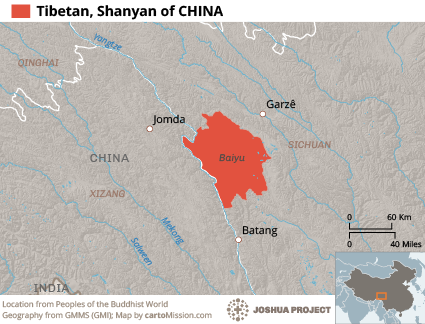 Although historically the Shanyan Tibetans came from far western Tibet, their present home is a vast distance of more than 1,000 kilometres (620 mi.) from their original homeland. The hundreds of years of separation have resulted in the Shanyan Tibetans evolving into a distinct people group with a language no longer intelligible with Nghari Tibetan varieties. Documents from the Qing Dynasty report 'this tiny area had defied imperial rule for over 200 years by relying on the dangerous terrain and the bravery of its people. To bring them under control, the court has sent expeditions on several occasions.' It was not until October 1910 that the Shanyan Tibetans finally came under Chinese rule. 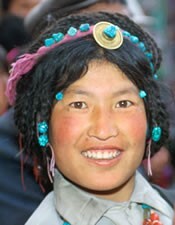 The Shanyan Tibetans are completely unreached by the gospel. They pose one of the greatest challenges of any Buddhist group in the world today. View Tibetan, Shanyan in all countries.